Muslims have two celebrations each year, 'Eid al-Fitr and 'Eid al-Adha. The celebrations are based on the Islamic faith and religious way of life. There are some who argue that Halloween, at least, is a cultural holiday, with no religious significance. To understand the issues, we need to look at the origins and history of Halloween. Halloween originated as the Eve of Samhain, a celebration marking the beginning of winter and the first day of the New Year among ancient pagans of the British Isles. On this occasion, it was believed that supernatural forces gathered together, that the barriers between the supernatural and human worlds were broken. They believed that spirits from other worlds (such as the souls of the dead) were able to visit earth during this time and roam about. At Samhain, Celts celebrated a joint festival for the sun god and the lord of the dead. The sun was thanked for the harvest and moral support requested for the upcoming "battle" with winter. In ancient times, the pagans made sacrifices of animals and crops in order to please the gods. "Trick or Treating": It is widely believed that during the Feast of All Saints, peasants went from house to house asking for money to buy food for the upcoming feast. Additionally, people dressed in costumes would often play tricks on their neighbors. Blame for the resulting chaos was placed on the "spirits and goblins." Games such as bobbing for apples: The ancient pagans used divination techniques to foresee the future. There were various methods of doing this, and many have continued through traditional games, often played at children's parties. Jack-O'-Lantern: The Irish brought the Jack-O'-Lantern to America. The tradition is based on a legend about a stingy, drunken man named Jack. Jack played a trick on the devil, then made the devil promise not to take his soul. The devil, upset, promised to leave Jack alone. When Jack died, he was turned away from Heaven because he was a stingy, mean drunk. Desperate for a resting place, he went to the devil but the devil also turned him away. Stuck on earth on a dark night, Jack was lost. The devil tossed him a lighted coal from the fire of Hell, which Jack placed inside a turnip as a lamp to light his way. Since that day, he has traveled the world over with his Jack-O'-Lantern in search of a resting place. Irish children carved out turnips and potatoes to light the night on Halloween. 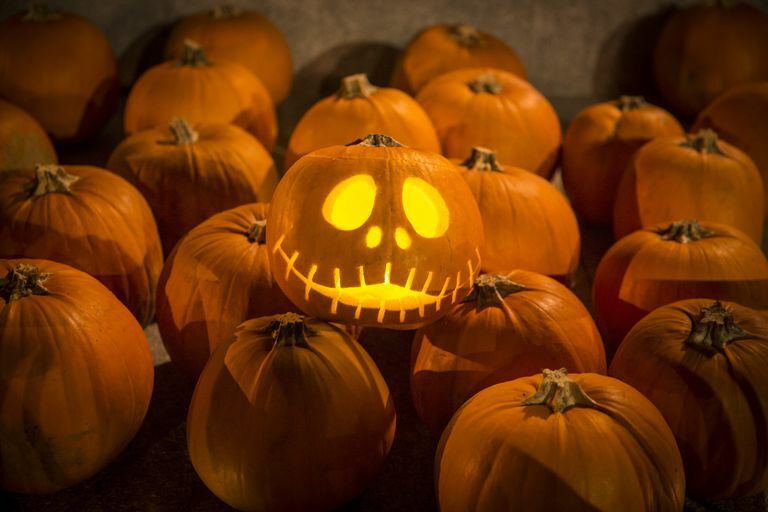 When the Irish came to America in great numbers in the 1840s, they found that a pumpkin made an even better lantern, and that is how this "American tradition" came to be. Virtually all Halloween traditions are based either in ancient pagan culture or in Christianity. From an Islamic point of view, they all are forms of idolatry (shirk). As Muslims, our celebrations should be ones that honor and uphold our faith and beliefs. 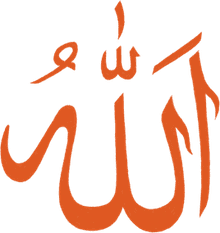 How can we worship only Allah, the Creator, if we participate in activities that are based in pagan rituals, divination, and the spirit world? Many people participate in these celebrations without even understanding the history and the pagan connections, just because their friends are doing it, their parents did it ("it's a tradition! "), and because "it's fun!" So what can we do, when our children see others dressed up, eating candy, and going to parties? While it may be tempting to join in, we must be careful to preserve our own traditions and not allow our children to be corrupted by this seemingly "innocent" fun. When tempted, remember the pagan origins of these traditions, and ask Allah to give you strength. Save the celebration, the fun and the games, for our 'Eid festivals. Children can still have their fun, and most importantly, should learn that we only acknowledge holidays that have a religious significance to us as Muslims. Holidays are not just excuses to binge and be reckless. In Islam, our holidays retain their religious importance, while allowing proper time for rejoicing, fun, and games.